While I build up the energy to finish my last couple items for the living room, I’ve turned my attention to my 2-year-old daughter, Cora’s room. Since we moved when she was 15 months old, her room has pretty much been a hodgepodge of baby and toddler items no longer needed by her big sister who now has her own room. I held off spending too energy in her room because her big sister refused to sleep in her own room until it was pink and she was over 3 (and quite ready for a big girl room) when we moved. I knew Cora would be ready soon, and collected ideas instead. To start things off, I went back through my Pins for Cora’s Room to find something quick and easy to do (since we are currently planning for some larger projects). The original design was painted using a stencil by Cutting Edge Stencils. Their stencils are a little pricey, this ons is $39.95 at the time of this post. Instead of spending that much money on a stencil plus more on paint, I decided to do my own version of this project using my Silhouette and some matte purple vinyl. 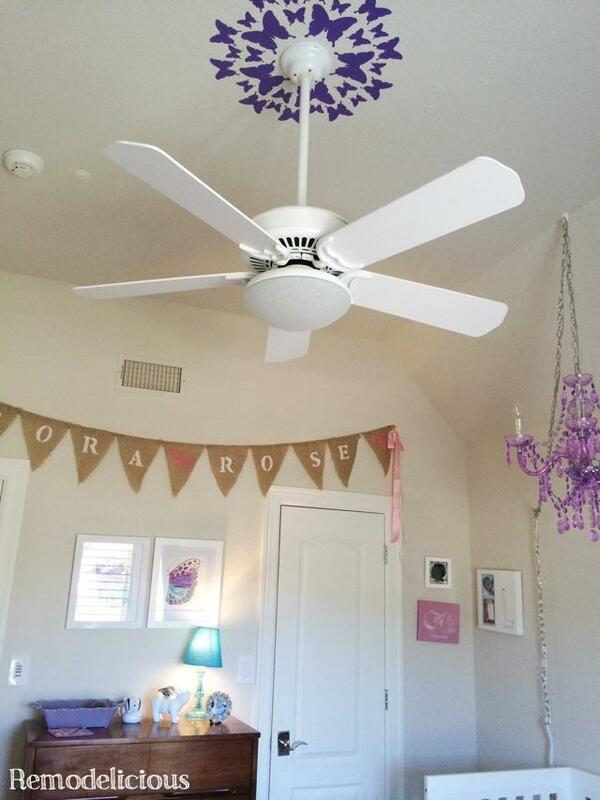 Since this is Texas and we worship our ceiling fans here, we won’t be replacing her fan with a fancy light fixture, although she does have a purple chandelier over her bed that we plan to keep in her room. 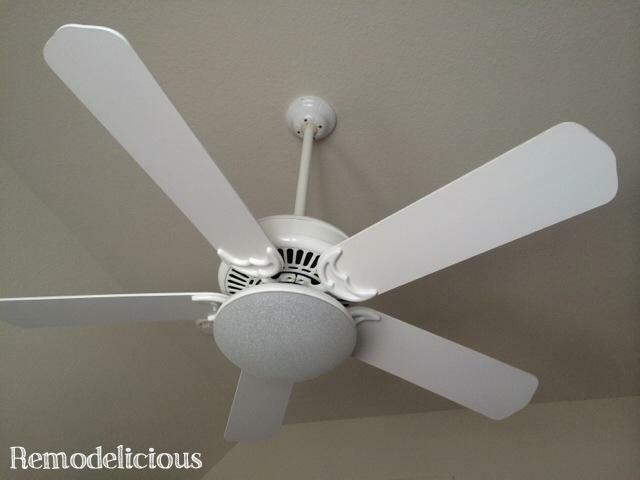 Since the ceiling fan is centered, it was perfect for this project. I used a butterfly design that came with my Cameo. It’s made for printing and then cutting, but for my purposes I just wanted simple decals. I used matte vinyl since we have flat paint. 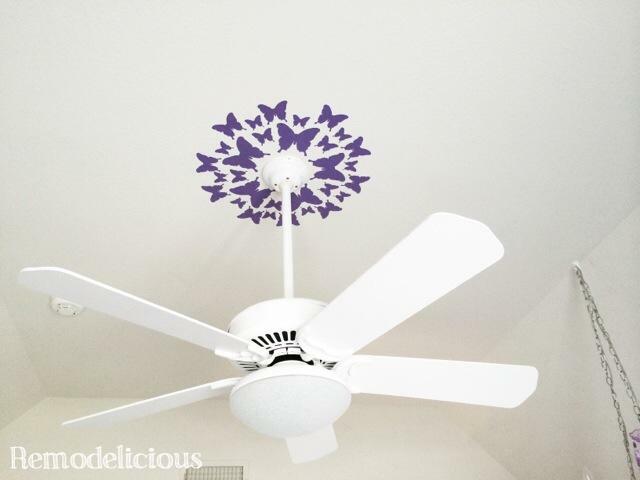 I started with five 5″ butterflies and spaced them as evenly as possible. Then went back and cut 5 smaller versions to fit between the 5″ ones. Then 10 between the two sizes and 10 tiny ones for the final ring. The spacing isn’t perfect without measuring, but we are really pleased with the finished product. 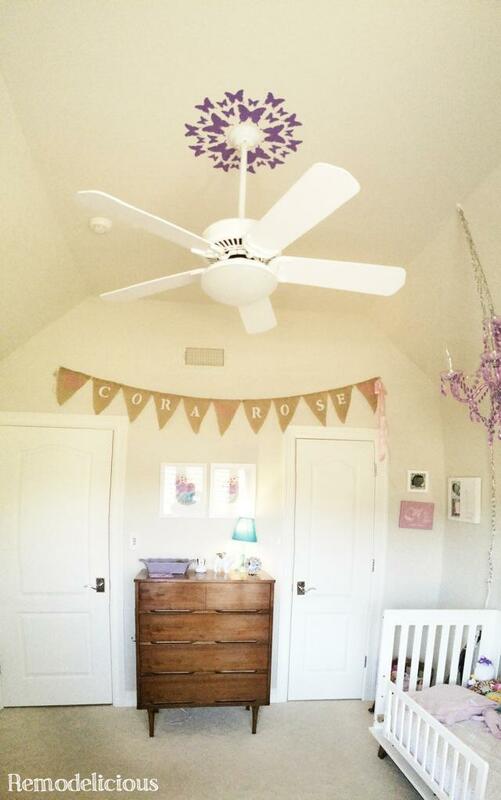 Cora is especially excited since we are focusing on her room for a change. This image is a little wonky because I did a panorama, but I wanted to share the wide view. 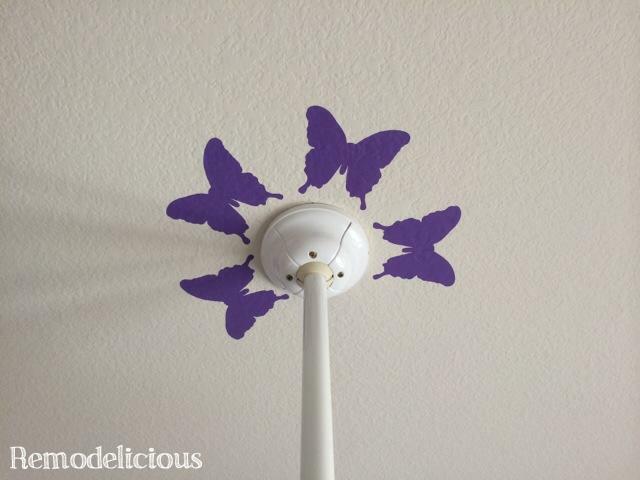 There are now butterflies on the ceiling and in the DIY Pottery Barn Kids Copy Cat art over the dresser. 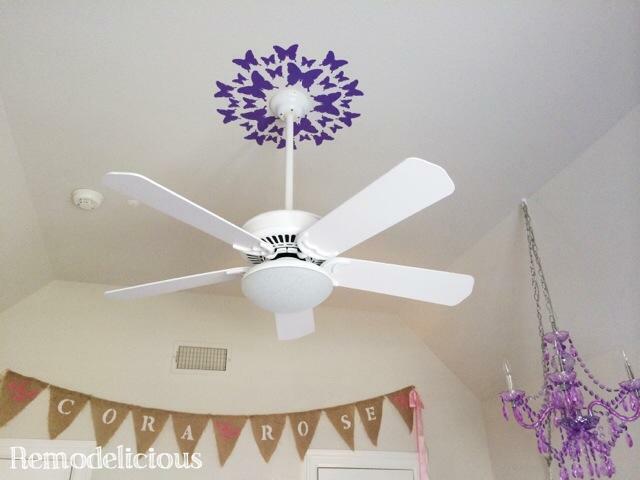 Another way to do this project with a Silhouette is to make your own template and use paint, but I like how we can remove these without a ton of fuss should she get over butterflies soon. Flash Gymboree Sale: 30% + 20% off For St. Patty’s Day Only!